The Ottawa Dragon Boat Festival is easily the capital’s most underrated summer music festival. For over 20 years, the four-day event has been taking place at Mooney’s Bay Beach, bringing over 70, 000 attendees together to celebrate culture and community. The Ottawa Dragon Boat Foundation was founded in 2004 to help efforts with fundraising for local charities, and has since has raised over $3 million. Even more, the weekend provides the opportunity to browse local vendors, try craft beers and explore one of Ottawa’s best beaches. July Talk playing Ottawa Dragon Boat Festival on Thursday, June 23. Like most outdoor festivals, the first night brought in a diverse crowd, ranging from teenagers to families. Most patrons were young adults in July Talk t-shirts, a clear indication of the headliner’s popularity and growing fan base. The first show of the night was Modern Space, a young five-piece group from Toronto. They played a varied set of original songs and covers, paying tribute to Arcade Fire, Lana Del Rey and The Arctic Monkeys. They were an energetic introduction to the weekend. Following Modern Space were The Muscadettes, a Montreal-based band who played with July Talk throughout the Maritimes. I’m not sure if it was the fact that the lead singer and bassist are twins, but the band had a seamless unity to its music, playing modern yet classic-sounding rock songs. They gave off a nonchalant, effortlessly cool vibe and were a refreshing reminder that this was actually a beach concert. Thursday’s headliner was July Talk, whose performance easily lived up to the band’s rising popularity. Lead singers Leah and Peter’s onstage chemistry was electric and charismatic, and their energy animated the audience – there were a few crowd surfers, and even surprising attempts at a mosh pit. Lead singer Leah Fay’s magnetic stage personality was quite possibility the highlight of the night. She is a natural performer, one that ties her hair up halfway through the show (with a scrunchie borrowed from the audience), offers Jameson to the security guards, and seems absolutely at ease onstage. She was inviting and engaging with the audience, making the packed hill feel like an intimate concert. The band’s impressive musical performance and captivating personality created an unforgettably high-energy night that successfully started the weekend off on a high note. Mother Mother performs at Ottawa Dragon Boat Festival on Friday, June 24. Friday night opened with The Beaches, a rock group from Toronto. They sang punky, but light-hearted songs that felt like the epitome of a girl group – charming, energetic, and almost intimidatingly talented. The second act was Ria Mae, a Halifax-born solo artist. She sang heartfelt songs ranging from bluesy to indie pop to acoustic. Her soulful, round, Adele-like voice was the highlight, and proved to have impressive stylistic range. Special mention goes to her drummer, Chuck, whose strong performance was a defining accent in Ria Mae’s style. Unfortunately, the speakers seemed to be a bit too loud, which carried through to the final performance of the night. Be sure to check out Ria Mae in the NAC Studio’s intimate setting on Saturday, October 15. The evening’s headliner was Mother Mother, and their explosively high-energy show was fitting for a Friday night. The five-piece group was much better live; their music felt complete with dancing, strobe lights and an energetic crowd. Lead singer Ryan Guldemond led the band through their set in such a captivating way, it felt like watching a classic rock star. Their show gave off incredible, hypnotic vibes that felt like a hybrid of 80s pop and futuristic synth. 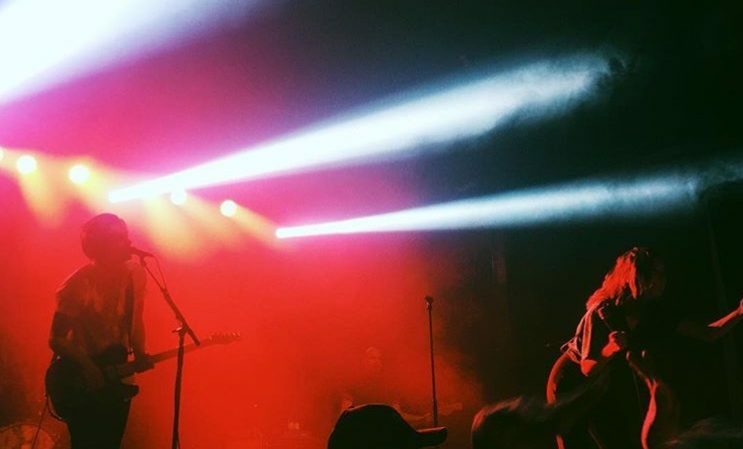 Like the previous night, Mother Mother’s vibes were mirrored by the expansive audience. Between songs, Ryan thanked the crowd, explaining that the band had taken a break from performing to write new music. He reflected on world events and preached of peace and unity. 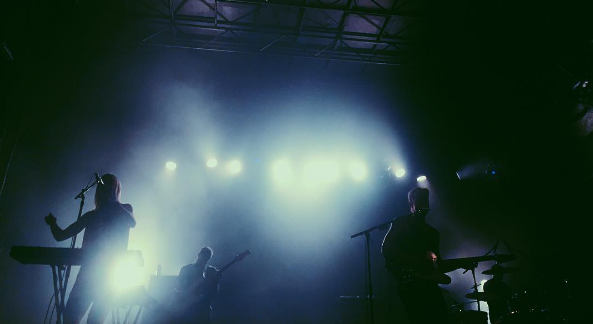 Mother Mother’s fun and uplifting demeanour was echoed by the audience and was a warm reminder that music can truly bring people together. Alvvays played Ottawa Dragon Boat Festival on Saturday, June 25. Saturday night brought in a quieter vibe. The audience was a vibrant mix of teenagers, older adults and families, and the evening’s bands emitted a beachy, laid back atmosphere. The first event was Pony Girl, a young Ottawa band growing in popularity. They were much jazzier than I expected, complete with all-black ensembles and a clarinet solo. Their set felt youthful, however, and was a perfect example of classic meets modern. The band’s individual talents came together beautifully in their effervescent set, all playing impressive solos and showcasing young local talent. Following them was Nap Eyes, a four-piece band from Halifax. They continued the evening’s relaxed vibes with a slowed-down set, boasting unique songs falling somewhere between the styles of The Shins and Neutral Milk Hotel. 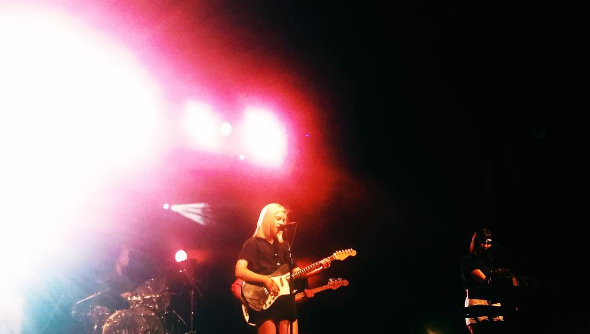 Saturday’s headliner was Alvvays, a beachy, indie pop band from the East Coast. Their set was understated yet exciting; effortless but impressive. Like always, the crowd reflected the act’s demeanour and the audience felt welcoming and content. A few sparklers and even a crowd-surfing beach ball proved that Alvvays’ uplifting indie sound was wearing off onto the audience. The band played fan favourites such as “Marry Me, Archie” and “Party Police” from their first and only album, as well as playing a few new originals, hinting at an upcoming release. The new songs were a bit darker and heavier while maintain Alvvays’ easygoing vibe, and were well received by the audience. Their encore song was “He’s on the Beach” by Kirtsy MacColl, which proved the band’s musical talents even outside their unique, original singles. It was an impressive set in every way possible. Unfortunately, I couldn’t make it to the final night of concerts, but I have no doubt that Ottawa’s A Tribe Called Red was the perfect way to conclude one of the summer’s first festivals. Overall, the weekend was an impressive start to festival season and an uplifting, welcoming celebration of both local talent and international culture.